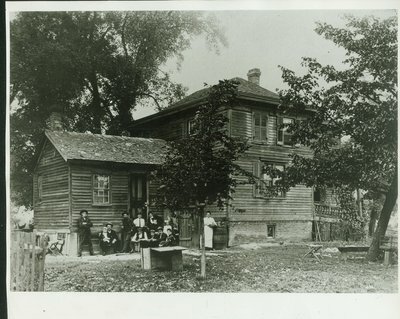 On reverse: "Old Dusham House, Elmwood and Michigan, succeeded log cabin. Built around 1800." Stamped: "A copy by H. J. Steffens Studio at 807 Ridge, Wilmette, 6332."